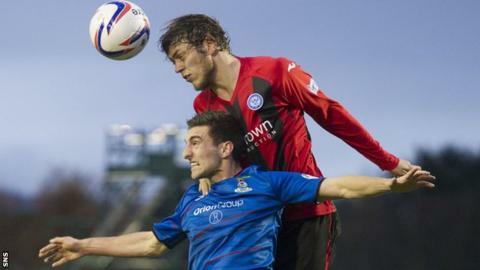 St Johnstone manager Tommy Wright bemoaned "a lack of quality in the final third" following . Billy McKay's early goal proved to be the winner at the Caledonian Stadium. "In the last third we did okay but we did not get enough chances or shots away," said Wright as his side slipped to sixth in the Scottish Premiership. "I don't think there was a lot between the two teams. The first goal was always going to be vital." The result ended a run of four straight wins for Saints. "I don't think it was a lack of effort but you have to compliment them on the way they defended and restricted us to very few opportunities," added Wright.